The Columbus module is designed to undertake experiments but may also be used as temporary sleeping accommodation for the European astronauts. It is anticipated that most, if not all of them, will be licensed amateurs. Two ARISS antennas (L/S band) were installed on the European Space Laboratory Columbus. A DATV (digital amateur television) transmitter is installed in the Columbus module of the International Space Station (ISS). This transmitter is dubbed ‘HamVideo’. Explore the Columbus module by clicking on the picture – enjoy! 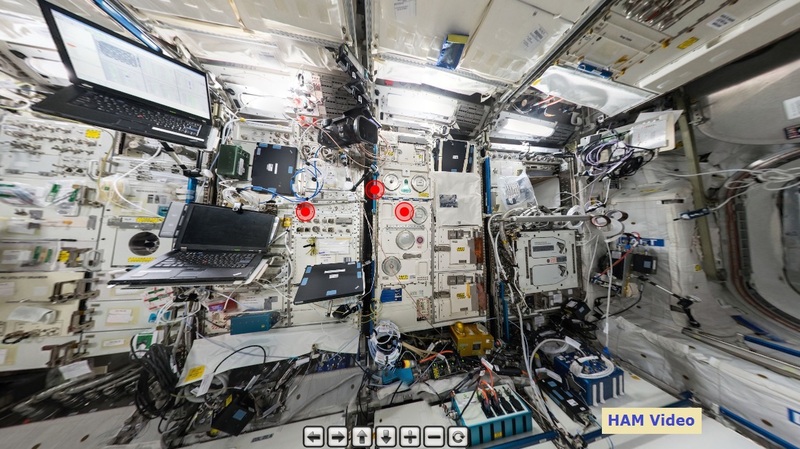 ESA astronaut Samantha Cristoforetti, IZ0UDF, has documented her stay aboard the ISS by creating a panoramic image of a segment from its interior of the Columbus module using 14 fisheye photos stitched together.